You are here: Home / Kid Crafts / DIY Gnome Crafts for Kids (and Adorable Gnome Food)! DIY Gnome Crafts for Kids (and Adorable Gnome Food)! 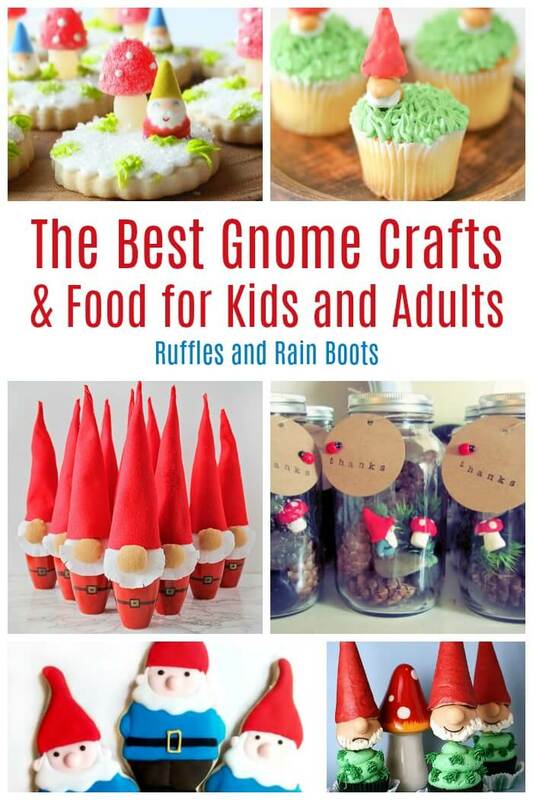 These unbelievably adorable gnome crafts for kids and adults will bring smiles and chuckles to the day. All of these gnome crafts are just too cute not to make, so let’s get started. Psst: there are cookies, too. A little whimsy, a little nature, and a lot fun – that’s how I described gnomes to my daughter when she was about 3-years-old. Honestly, I think it’s accurate. 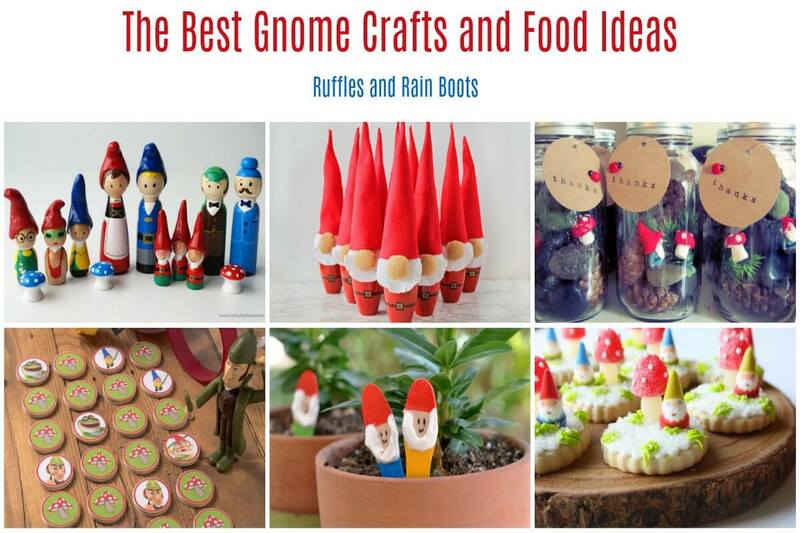 We’ve been making a lot of gnome crafts here on Ruffles and Rain Boots because it turns out, the little one loves them. 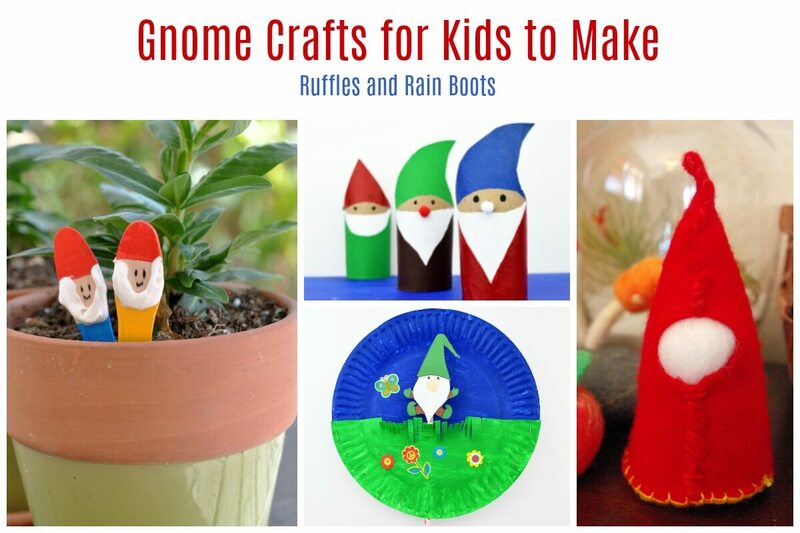 Below are a few of our favorite gnome crafts for kids. 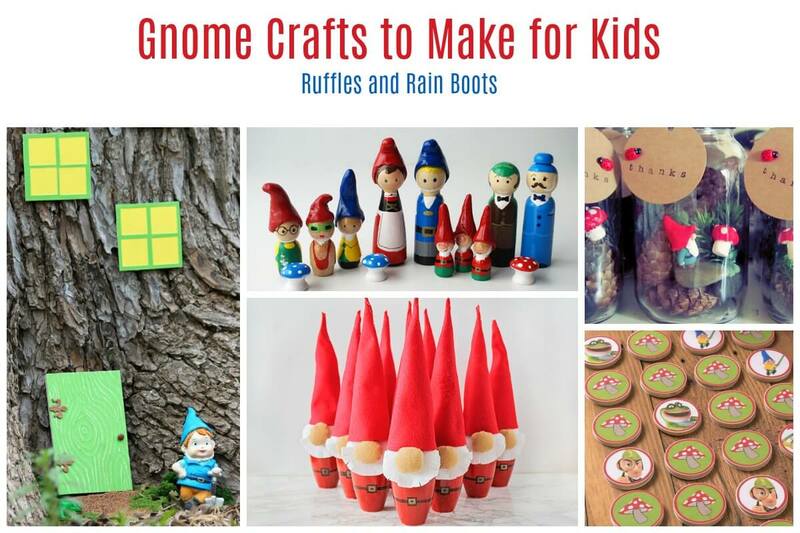 These activities below are gnome crafts for adults to make for the kids. 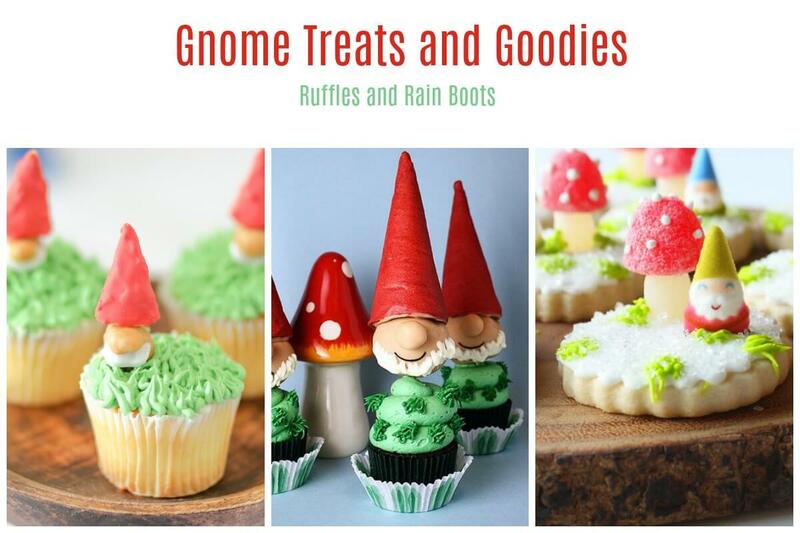 From games to party favors and backyard shenanigans, these will please any gnome lover. Psst: if you’re looking for holiday gnomes, I am a HUGE fan of making them. Check out all of our tutorials for the world’s cutest DIY Christmas gnomes. Gnome Terrariums by My House of Giggles – This is happening over here. I have everything I need, coupled with a desire to have my own gnome terrarium. Not to be left out, there are gnome treats and goodies to be made. And bought. Gnome Cookies by Munchkin Munchies – Seriously easy and seriously adorable! Adorable Gnome Sugar Cookies by Sweet Art Sugar Cookies – If you want a professional to make you gnome cookies, this is your place. Gnome Cupcakes (So Cute)! 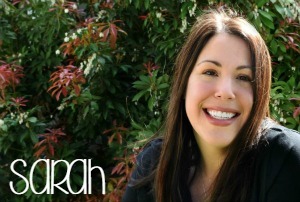 by Confessions of a Cookbook Queen – I smile every time I see these. This indoor, adorable gnome is a best-seller for a reason, friends. I don’t want to ruin the surprise, but he’s my favorite! Not sure if my husband will like it, but I’m seriously considering this gnome mat for the back porch.